Due the durability and excellent fuel economy that diesel engines have, these engines are used in place of gasoline engines for commercial applications, effectively running buses, private vehicles, trains, and trucks. With diesel-powered vehicles playing an essential role in the commercial industry, repair is vital to keeping these trucks running at optimal performance levels. Individuals who are contemplating a career as a diesel mechanic in Alabama, and neighboring states like Georgia or Mississippi need to earn the right certifications, which will prepare them for a stable and successful career in this field. Aspiring diesel mechanics who wish to enroll in an accredited program at a vocational school, university, or college need to first meet the school’s educational prerequisites. Most colleges only accept students who have completed their high school education, earning a diploma or GED. Others require students to have four years of high school English as well as two years of science and math. Most employers in Alabama prefer to hire those who have prior educational training in diesel technology. Aspiring diesel mechanics can earn a certificate or degree in this field, and many companies offer special certificate programs to train employees in diesel technology. Individuals can choose to enroll in a vocational or technical college that is accredited through the National Automotive Technicians Education Foundation (NATEF), earning an associate or bachelor’s degree in diesel technology. The Associate of Science in Diesel Technology requires a minimum of two years of educational coursework; whereas, the Bachelor of Science in Diesel Technology takes approximately four years to complete. Individuals who are enrolled in an associate’s degree program learn the practical skills and techniques required to successfully troubleshoot and maintain diesel vehicles. Through hands-on training, students will be able to effectively diagnose any mechanical issues that arise and develop repair plans for servicing diesel-powered engines. Diesel mechanics who wish to obtain a higher paying or managerial position at a mechanic company can further their education by enrolling in a bachelor’s degree program. A bachelor’s degree in diesel technology covers the core fundamentals of diesel technology, repair methodologies, and techniques. Students will also take courses in mathematics, humanities, and natural sciences, providing them with a well-rounded education in preparation of a management position. Alabama does not require diesel mechanics to earn special certification to work legally in this state, but most employers prefer mechanics to obtain certification through an organization like the National Institute for Automotive Service Excellence (ASE). The ASE certifies diesel mechanics in specialized sectors of this industry, whether it is in steering systems, preventative maintenance, brakes, or electrical systems. Diesel mechanics who have earned their certification need to re-certify every five years to stay up to date with current technologies and procedures. Certification provides an additional edge for those seeking a higher paying position at a mechanic company. The U.S. Bureau of Labor Statistics (BLS) predicts that job employment in this industry is expected to increase by 15 percent by 2020, providing an estimated 35,000 additional jobs in this sector. Because the commercial industry needs diesel-powered engines, this industry provides a stable job opportunity for diesel mechanics in Alabama. According to the BLS, approximately 4,260 diesel mechanics work in Alabama, making an annual mean wage of $39,050. Diesel mechanics often get an hourly wage, which provides them with increased income when working overtime hours. 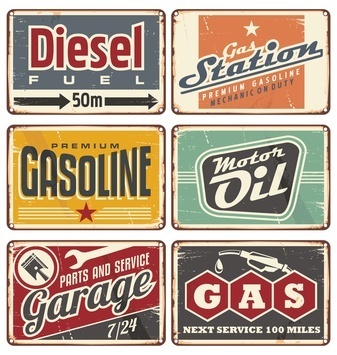 Local Garages: Diesel mechanics repair private cargo and passenger vehicles, which requires them to be proficient in a variety of vehicle types. Some mechanics evaluate and maintain diesel-powered vehicles, ensuring the vehicles conform to emission control system standards. On-site Mechanics: Most companies hire diesel mechanics to work on-site, employing them to maintain generators in the event of power failures. Diesel mechanics regularly test and repair diesel-powered engines and generators. Commercial Fleet Mechanics: Most commercial cargo companies employ diesel mechanics to maintain the truck fleet, requiring the mechanics to work in the central repair depot. Mechanics need to effectively repair diesel-powered vehicles in the designated timeframe. Diesel mechanics enjoy a stable employment in the commercial industry, playing a crucial role in America’s power and transport infrastructure. From truck stops to train engineers, highly experienced diesel mechanics have many employment opportunities in Alabama.